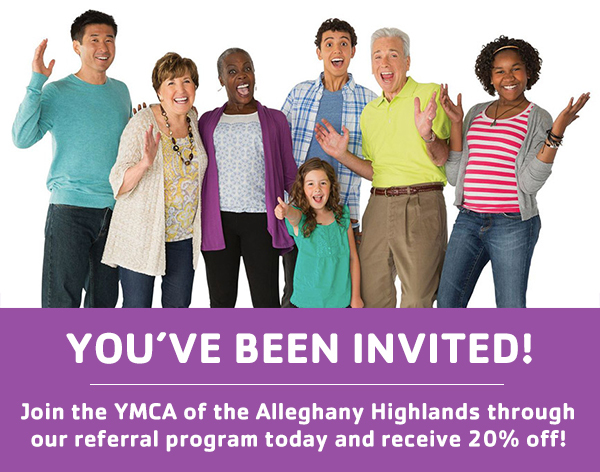 Join the YMCA of the Alleghany Highlands through our referral program today and receive 20% off! Stay up-to-date and learn about opportunities to get involved at the YMCA. Check out everything that’s going on. The YMCA has events for all ages and interests! for programs, events and more! Read testimonials from our members. Share YOUR Y STORY, your input is important to us and inspirational to others! As an Alleghany Highlands YMCA member, you have access to YMCAs across Virginia free of charge through the "My Y is Every Y" program. Current members can use any YMCA in Virginia for free when they show their member ID card and photo ID (some restrictions apply...contact the local Y for their policy). Click on the image to learn about Dolly's program in the Alleghany Highlands! Dolly Parton's Imagination Library has gone from just a few dozen books to over 80,000,000 books mailed to children.